Goodmonday to you all! Despite my hesitation to begin the week I leave you with this clever spot created by Crispin Porter + Kennedy. It features a witty little fellow who takes it to the man. I haven't seen a lot of work from CP+B lately, but this ad tells me they are still up to some great stuff over there. A great way to start the week with some brief entertainment. I'll look into more ads from them to let you in on their creative scoop. 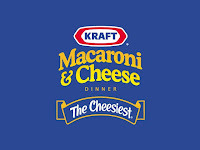 Check out the KRAFT video below! I love the simplicity of the spot, it riles a chuckle from the audience and does a great job tempting one to have a spoonful of that golden gooey mess. I'd like to see more ads like this, somehow it managed to lure my inner-child and wake the forgotten cravings! Do you guys know of any more ads from Kraft?